Last week I kicked things off by saying it was time to make this 21-Day Challenge personal. In other words, I asked, what were you done with? What behaviors, conditions or trajectories were you ready to jettison to welcome a healthier, more vital life? I think it’s always critical to identify what isn’t working for us at any given time. When we’re clear on what doesn’t fit our intentions for our lives, we can cleanly let go and move forward. That said, I don’t believe change itself comes from negative assessments, and I appreciated readers’ comments last week that affirmed the power of positive language. The fact is, when you come at anything in life from a mental place of lack – diminished self-esteem, low expectations, small thinking, little self-worth, fearful scarcity, poor confidence – you’re setting yourself up for a meager win if not outright failure. In that regard, it’s a question of efficacy. If you don’t see yourself as a cause worthy of investment, if you don’t believe in your inherent power, if you hedge your bets out of cynicism or anxiety, you’re cutting off your endeavor at the knees – right from the start. And yet it’s also a matter of purpose. We can and need on some level to discern what’s not working, but the journey itself isn’t about what’s lacking. When we view these 21 days (or any day) as a means to an end – a Challenge goal, a better race time, a lower weight, a better job, a new relationship, a healthier biomarker – no matter how good the intention we’re ultimately missing an opportunity – and maybe the central point. The real point of taking the Challenge – however you’ve made it your own – is to live a better life. Maybe a longer life is part of the vision for some of you, but I’d venture to say a better life is the real underlying commonality. 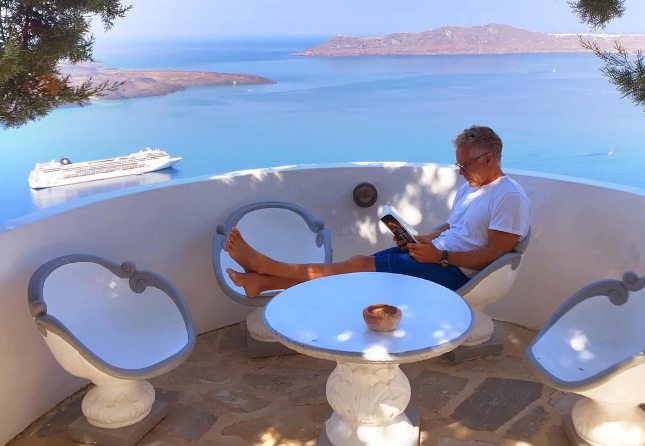 Living a awesome life – this is the chance available to you right now. Put aside for a minute what you want the Challenge to “fix” or eliminate. What would it meant to live vitally in your body right now – as is? Yes, we’re ultimately working toward a deeper, more expansive vitality with all our efforts, but what if we made the choice to see the process less as a path of hard discipline and more a journey of self-valuing – and (dare I say) celebration? Take a minute and look at your body with an eye for appreciation. Assess what it can do and what it’s seen you through. Look at your life from the angle of abundance. What is good? Your body isn’t the enemy here after all. Consider how amazing it is to walk and jump and lift your child or move all your belongings, to build and travel. Just as we can reframe and celebrate eating amazing healthy food and living an active life, we can reframe how we view the bodies we want to nurture into healthier, more vibrant being – because why wouldn’t we offer them such an adventure, why would we shortchange our bodies, ourselves, such an opportunity to live the fullest life possible? Our bodies don’t need to be perfect to deserve this privilege just as our diet doesn’t need to be 100% Primal. The privilege is ours because we want it and take it – if we allow ourselves that pleasure. On the path to vitality, it’s less about noting what’s bad and doesn’t serve us anymore and more about – when we get those amazing glimpses into this level of experience – what’s great. Then we can unabashedly declare “More of THAT, please!” and subsequently live ourselves into that vision. So, are the two perspectives of “What’s not working?” and “What can I celebrate right now?” mutually exclusive? I don’t think they are. For instance, being sick or significantly overweight are urgent matters that deserve our attention. That being said, it’s not about being shaken into seeing how “broken” we are physically, metabolically or psychologically. It’s not about reaching a level of self-disgust to be motivated to change. For me. For myself… (We’ll put aside the finer points of grammar for a moment.) What do I want for myself? What do I want to savor in this life for myself? What do I desire to take pleasure in, to bask in? What do I want to cultivate into being for myself? Embracing vitality means not placating oneself with the way things are out of a misplaced sense of “accepting myself means accepting whatever is.” However, it also doesn’t oblige us to delay feeling reverence for the body, to defer reaching for euphoria and thrill, to postpone relishing one’s life. It means beginning to live differently today. So, for today I have a modest proposal. Take as you wish – and apply it to every day going forward in this Challenge. See this day as important as the final day of the Challenge. What you live and enjoy today is equally as important as the results you’ll measure on February 1. Seek out peak experiences. Indulge in healthy pleasures. Luxuriate in what is life-giving and nourishing. Committing to a healthy life entails committing to the full rewards and responsibilities. That day begins now. Thanks for reading, everyone. 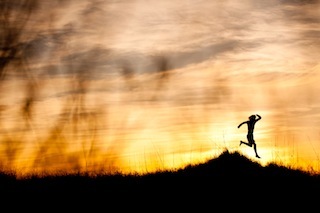 What can you embrace today as a commitment to the rewards of a healthy, vigorous life? Leave a comment in the comment board below and you’ll automatically be entered to win a Focal Upright “Mogo”. One winner will be selected at random. This contest expires today, Jan. 22, at 11:59 pm PST. Focal Upright “Mogo”- You might recall my “leaning workstation” as seen in the How-to: Standup and Mobile Workstations video from last year, the Locus Seat from Focal. It’s sort of a human kickstand that allows me to alternate between leaning and standing. Leaning is kind of like sitting in that it takes the load off, just without shortening your hip flexors and turning your glutes into a amorphous gelatinous blobs. I love it. If you liked the look of it and want something similar, you’ll love the Mogo. It’s also made by Focal, and it’s of a similar design and also allows you to lean and stand, but it’s less expensive and more mobile, weighing just over 2 pounds and collapsing for easy storage. That means you can take it along with you to the office, the cafe, the great outdoors (laptop on a stump, anyone? ), or when you travel, and get strange looks and lots of questions while you get work done. Retail Value: $99. What an incredible paradigm to use when considering what can often be very challenging lifestyle changes. Thanks, Mark! I am thankful for the journey I am on right now. I have many goals to hit still, but I have already accomplished so much. I feel more alive and present than I can remember in a long time. I am more focused when its necessary but I am also able to relax and just enjoy life more than before. I am truly thankful for the body I have and I am commited to doing my best to give it everything it needs to function at its highest level: good whole foods, primal exercise, sunlight, challenge and sound sleep. My journey improved when I decided to participate in the 21DC. What am I doing right now? Implementing a winter tent camping experience in my backyard to research it safely. Next, onto my favorite camp spot soon. Hehe, My old roommate used to camp in the backyard 🙂 Best of luck with your research! I am going to do this too. Thanks for the reminder! I tent in the back yard is our guest house. I love it on hot nights in the summer. Great article! I’ve started 52 weeks of awesome this year. Every week I’m doing something to better myself. This week is doing a half an hour of yoga every morning. Feels great! 52 weeks of AWESOME. I like that! Can I ask what some of your other weeks involve? I am doing something similar but it will be a Monthly. This month the focus is being sugar/ sweetener free, next month will be about my water intake. I will figure out the remaining months as I go. I need a cool title like yours! Thanks for cultivating such an awesome community, Mark! I’ve made it an effort to focus on carbohydrate restriction, joining a farm share, and buying a quarter cow thanks to this challenge and previous ones. I’m trying to implement some of the other PB laws like play and use your brain in all aspects of my life. I definitely value experience over material things (I’d rather travel than buy a 72″ flat screen and entertainment system), and living in step with a primal paradigm helps me make the most of each experience! For me, I’m striving to be able to hold on both to my goals for the future and to an open acceptance of where I’m at now, so that I can let myself enjoy the moment. Excited that I have lost enough weight to feel comfortable to be bicycling again. I was stuck in a jazz band where I was stressed out and not happy; two days ago I sent The Email and quit, hopefully not burning any bridges along the way. 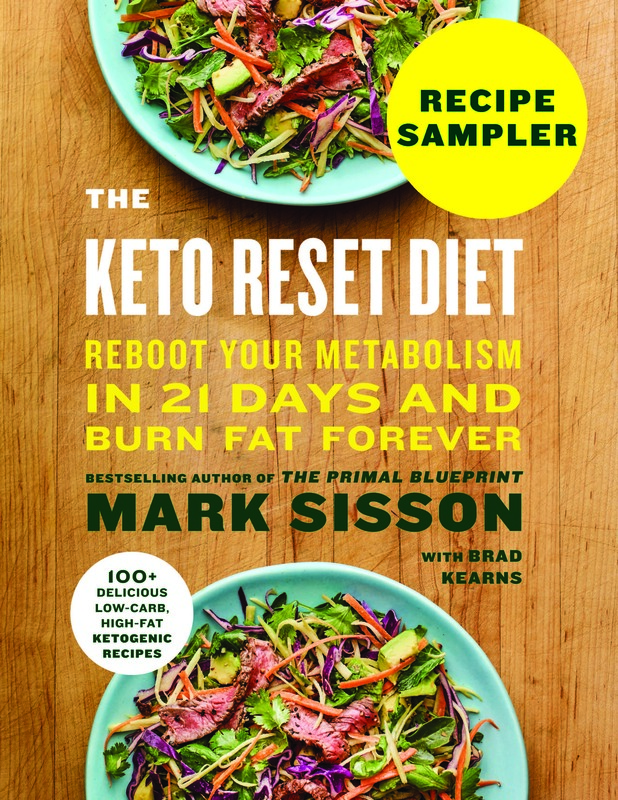 I have also started a new eating strategy using carb cycling through the day (“The Adrenal Reset Diet”) and have lost 5 lb since Christmas. I have also committed to a yoga class at least once a week to balance out the boxing and O-lifting that I do, and I cut a day off my O-lifting to make time for skiing on the weekend without guilt that I was going to miss Sunday’s workout (our coach runs a weird schedule). One of the things that’s great about winter is that it’s much easier to see the birds. One of the things that’s great about my body is that it can take me around and do that seeing. I think the true challenge (and blessing) of taking on the 21 challenge and a primal lifestyle altogether is for me less about the food and exercise and more about changing my belief systems that I ‘deserve’ to be fit and healthy. I really enjoy your articles such as “I Think Therefore I Do.” It’s funny how your brain can only ‘see’ the things it’s ready for. When I first read your 21 day blueprint book a couple of years ago, all that I could ‘see’ was the diet and exercise, my brain ignored the rest. Then recently picking it up again and realizing how much stress management, play and connection with others mattered. Now am focusing on the bigger picture – what I can allow myself to manifest in my life and working on expanding that. My goal: To work harder in less time and slow life down. As a college engineering student this is tough, but I feel it progressively getting better. Good luck with that. It’s amazing how much time you have on your hands when you’re not in school for engineering! Great article. Living the primal lifestyle for 8 months or so, I’m finding that the positive outcomes of it feed more positive behavior. Cheat meals are less and less appealing. I miss beer less and less. A sedentary day is no longer a break, but a burden. I’m working on having more compassion for myself on the journey of finding balance in my primal life. i’m working on developing a taste for fine whiskey. what? it’s a goal i tell ya! ok, ok. i’m working on getting enough sleep every night on a consistent basis. I am working on not beating myself up if I make a mistake but instead saying that was ok now keep moving on. Just because I messed up once doesn’t mean that everything I’ve been working towards is over it means I had a little bump in the road. No worries! I have a lot more success at correcting thought processes if I get enough REM sleep. I’m beginning to realize how much sleep affects us. I am a very organized person, but without quality sleep, everything piles up and I ca’t focus to be able to organize or even declutter. I work at this everyday and hopefully going primal will help with sleep and other issues! Thanks Mark. Yes, me too. All of my executive function goes to hell if I haven’t slept well – I literally can feel the loss of willpower and energy. Try wearing blue-blocking glasses in the evening and a sleep mask at night. Darkness is good for sleep. I’m trying to add quality to my life. As I think about my day, I realize what phenomenal amount of time is wasted on the unimportant things in life instead of what really matters, such as my family, my kids, friends. Part of adding quality means carving time out for myself, without any excuses. It’s going well for me so far. Not perfect, but I did not and do not expect that of myself. When I can make it through an entire day of law school classes without “crashing,” I know I’m doing something right. Great post. I’ve slowly been getting to this point with my primal diet over the past two years. My mentality really have shifted to vitality and well being! Great article. Since starting the 21-day challenge, I find myself contemplating on what the hell am I doing? With life, with work, and in general. Never have I been more conscience of the food / body connection. Now, during a meal, I ask myself if this is good for me, my body, my health, and my overall outlook. Depending on my answer, I either put the food down, or I relish the nourishment I am giving myself. Thank you Mark for your constant inspiration! I agree that you need to be “comfortable in your own skin” at any point in time, but it is also nice to use it as motivation on occasion. It is exciting to see all the small changes that have occurred just through half of the challenge. That’s a great way to look at it. I started this lifestyle by seeing what was wrong. But then took a look at what I could make right. Turns out that I can make a lot of what was wrong and not working into things that are right and are working. I’m halfway through a whole30 today and I feel fantastic. So worth it to go 100% for a while! I am actively learning to love the journey, to accept my ever changing body, that often times refuses to change where and how I want. I am learning to go with the flow, and I am having a lot of fun with it! The point of my 21 day challenge is to build a lifetime of better decisions, leading to a happier and more enjoyable life. Two years ago I was able to run three half marathons within a four-week span. This morning I got outside to run 1.25 miles in the winter cold and I felt great, even did a yoga workout video after. Before, I pushed myself and ran a ton because I thought it would help me lose and keep off weight. I overdid it and gained back more than I lost, so I stopped for a while. Now I’m working on running again because it makes me feel good and healthy and running isn’t the only thing I do anymore. It’s part of my exercise activities, not my sole focus. I embrace the mindset that every positive change I have made, and every future change I make will give me more healthy years for my son on the way, and hopefully those years are spent as a good role model…showing him how to live a healthy life versus just telling him. I’m learning to enjoy bacon. It’s actually a pretty easy assignment because bacon is freaking awesome! This is what I tell people who comment on how much better I’m looking since making a few changes in the 21-day challenge. It’s so nice not being hungry all the time. I’ve been primal for 3 years now and I still get down on myself for not looking “perfect.” There’s always some part of me I can pick on. It was actually just before the 21D challenge that I finally came to the conclusion that being happy and enjoying the health & vitality I DO have is perhaps my biggest challenge. I’m not built like a Greek goddess. But I DO have energy that lasts all day! I haven’t been really sick in years. (Hardly even get the sniffles.) And I’m a darned good cook! Time to start loving the life I have and stop wishing my days away pining for a different one. I’ve been living the primal lifestyle for about 3 years now. I like to use the 21 day challenge to look back at the basics and to reevaluate what I’m doing and try new things. I often think back to 3 yrs ago before becoming Primal, the medical issues, blood sugar issues, heart palpitations, indigestion…doctors had no answers. The Primal Diet and way of life changed all of that within 2 weeks of the 21 Day Challenge and I have never looked back. It set off a passion for health and longevity I’ve never had before. I used to say 65 would be a good age to die because I didn’t want to be completely miserable for the last 20 yrs of my life. I now look forward to seeing how I can Live Long, Then Die! Love your point about coming at things from a mental place of lack – I see this so often and always try to help others realize what you stated – how it is setting yourself up for meager results. Thanks for sharing that with your audience! Consider volunteering in a retirement home or community. If not for being more appreciative to our elders and helping out your community, and I say this with some trepidation, being conscious of how we’ll become if we don’t make the change now! With that perhaps some of your success in going primal might rub off on a new friend and motivate you to complete your 21 days an make it a year(s) long endeavor. Excellent article with much of thinnk about. For me, remembering to keep moving forward no matter what may get in the way or “trip us up” just keep moving forward. Life’s a journey not a destination. Years ago, I discovered Brian Tracy’s Psychology of Achievement. He always said to approach things from the positive. Instead of thinking/saying, “I don’t eat ___anymore,” his advice was to change it to something like, “I only eat foods that are good for me.” I often need a reminder about that. During this challenge, switching from a negative approach to a positive one has helped me appreciate all that my body and mind can do (even though I am only starting out). As I watch my aging relatives suffer from physical ailments, as well as Alzheimer’s, it helps put things into perspective. It is not always about looking good naked, it is about being 90 – 100 years old with a functioning body and mind. Perfect timing for this! I’m at the point in the challenge (I actually started on 1 January) where I have run into trouble in the past. My goal was to get stronger safely, & so far I have nailed my practice of 3x/weekly lifting. But while I was making quick & steady progress the first two weeks (because it had been a long time & my muscles were happily reawakening) I’m no longer able to lift more each time SAFELY, & this is when I would always start to push myself in the wrong way & get injured. This is when I really need to learn patience, but above all acceptance of & caring for the body I have right now. I will not call myself a hopeless wimp! I will not get angry & overdo it in an effort to prove something! I will show up without unreasonable expectations, be grateful that I’m back in the game, remember how maddening it is to get sidelined with an injury, & do it RIGHT this time by doing less!!! I’m working toward hiking a portion of the Appalachian Trail. My 21DC really started as a way to get back to a place where I was eating the healthy foods I knew helped me lose almost 20 lbs last year and to really get me moving. I followed Mark’s advice to finally purchase the class I have been wanting to get into for a long time. It always just seemed too expensive. But can you really put a price on something you know makes you happy and would really contribute to a healthier lifestyle. So 4 sessions of Hot Power yoga into a better me and I am already seeing improvements. I think the bigger picture I need to get to is removing the negativity from my “Story of Me.” Just because I have never been corrdinated or good at sports does not mean I can not be strong and healthy. We are our own worst critics. It is about time I start being my own best advocate, and begin seeing myself the way my friends see me. I’ve been really trying for the 80-20 balance. I have a tendency towards perfectionism, and allowing myself the 20% goof-off factor is a big positive. Otherwise I fall into bad habits and end up with a 50-50 split! Also, I made one of my intentions for 2015 (I don’t do resolutions) to build relationships. For me that means enhancing existing relationships and building new ones, and includes family, friends, and acquaintances. I’ve always been one to allow others to make friendship overtures, and it’s tough but satisfying to be the one taking the initiative. Going primal 4 years ago really was the absolute best thing I have ever done in my life and I’m not just saying that. It has helped me lose over 60lbs and maintain a healthy weight effortlessly, I rarely get sick and when I do it’s minor and I recover very quickly, I have more energy than I know what to do with. During my weight-loss phase I was incredibly strict but, recently have relaxed a little bit. I really do think that you don’t need to be perfect and your diet doesn’t need to be perfect, you definitely shouldn’t feel bad if you’re not eating 100% primal. However I have used the 21 day challenge to get myself back on track because I feel so much better when I do eat a strict primal diet. I want to stick to a strict primal diet not because I feel I have to, but because I want to. I definitely want to learn to play more. Outside, even, winter or no winter! Me too! I actually embraced winter a couple years ago – snowshoes. But I want to play more so that’s my focus in 21DC. I celebrate another day of feeling great and so confirming this is a great decision as a chosen life style change. Stomach issue are minimal, and I feel successful in pursuing fitness goals that I have only bounced around in my head for the last year – I am now acting on them. Just feels good. Just yesterday I got this feeling that I also had when I did Weight Watchers, a kind of sadness because I felt like I was having to not like myself enough to deprive myself. (Yes, I’m taking a trip to Trader Joes today to stock up on extra Primal munchies to take care of that deprivation feeling!) In reality, I’m a pretty cool person with a pretty cool body. I think simplifying my life goals to include the benefits of this lifestyle will take some pressure off of my shoulders. Not everything I do has to be big and great- sometimes it’s as simple as turning off the computer and going outside. Thanks for the fresh perspective. May I suggest the smoked sardines as a primal munchie? I’ll have to get really brave to try those! I will play outside with my kids in the insane amount of snow we got, instead of watching them from the window! Each day on this 21-day journey I read MDA, and I take a few words or a sentence away with me. I write it first thing in my journal to reinforce the positive message. Today: Strive to be a More Vibrant Person. I’m 27 weeks pregnant and want to be healthy for my kid. That simple, really. It’s funny. My work bought me a standing desk station about a month and a half ago and I was talking to someone about wanting to get one of those leaning seats. Would be a nice birthday present for me today. I found the Primal Blueprint maybe 2 days before the challenge started, so I have only been following the lifestyle since the challenge started. I can’t believe the difference I have seen both mentally and physically. Seeing a change only two weeks into living this lifestyle makes me want to fully embrace living Primally and make it a permanent part of my life. Excited to see how things are 6 months from now. I get stuck in habits and rituals, not necessarily bad ones, the purpose of my 21 day challenge is to mix things up in a healthy and fun way. What can I embrace today? V words! Vitality, vigor, vibrant, vim! Sorry, I’m kind of a word nerd, and have been amused when auto-correct tries to turn vimify into vilify in emails I write to my sister, so I have vim on my mind. But they are great words that do describe what is happening. First there is a little trickle of success and now I am riding a wave that I feel will soon turn into a tidal surge. Me and my wife are MDA success stories. If interested click on my name and it will link to the MDA article. Right before I started my journey I had an epiphany and it was very much on how capable I was to succeed. I had been morbidly obese for decades. But as sad as this is it was more habit and I got used to it. I was not a chronic dieter. So a bunch of things led up to this one night when I was at a concert. I was looking around and I was pretty much the heaviest person there. And it just felt absurd. Absurd. I remember looking at everyone around me and I knew in the core of my being that they did not possess one attribute that I did not. I thought if they could sift through nutrition info so can I, if they can do X, Y, Z so can I. Thank goodness I also realized that conventional wisdom had to be wrong. Thus started the journey to Primal. But the other VERY important thing was I started thinking about how many things I had accomplished. Getting college degrees when my mom had never entered college, success at jobs, marriage, and being a parent. These are significant things, and I think harder than success at Primal. Ironically you improve in all those areas when you go Primal. But the bottom line is we all have had important success somewhere. So if you can do that, you’ve got this! I always step outside after I wake up each day, and just take a few minutes that I am lucky enough to experience the gift of another day. It puts everything I to perspective and reminds me to use and celebrate this day as best as I can. Today, I’m going to lift after work and enjoy a delicious dinner. Taking good care of myself comes naturally to me. I never thought I’d say that a WEBSITE changed my life…but MDA did. You owe it yourself to at least try this for 21 days! I embrace gratitude, and in doing so, I approach things from a point of strength. I look at my life and am grateful for every part of it, even the aches and hassles because they’re part of the human experience. And I’m grateful for this challenge and for everyone else on this journey. Its a great day to be alive! Thanks to Mark and all on the comment board for so much encouragement. My challenge is to sit less and stand more while working. This really is a big one for me and seems to make all the difference in the quality of life from day to day. It’s one of the most difficult things I can think of, to train the mind to see even my struggles and difficulties from a place of abundance. Even so, I trust that patience and persistence will eventually see me through if I commit myself to it. Thanks Mark! I watched my father transform his life using the tools found on this website, changing from a man who was sedentary, had just had a heart attack and was more than 120 lbs over weight. 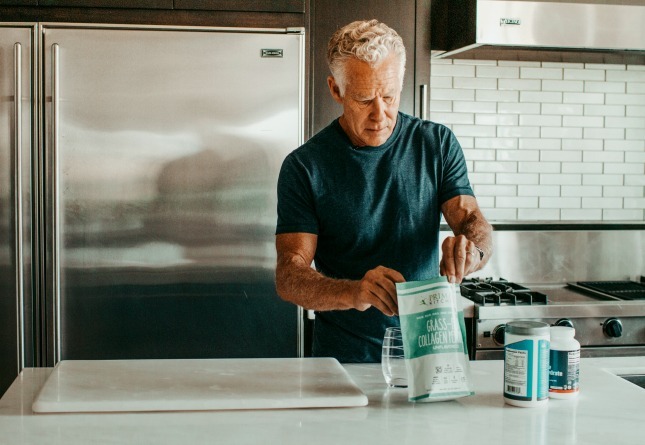 He started by initially making small changes in the right direction by adjusting his food intake, addressing his lask of exercise and started walking daily, and just embracing his life and becoming more passionate about life in general. I have never seen him so happy. I am started this journey to become a more connected individual to my life, my family, my work, my environment, my body and my spirit. I am so excited about my movement towards a better more meaningful healthy life. Since finding the Primal Blueprint last year, I’ve been working on taking things a day at a time. I’m striving for long-term progress in my overall health rather than instant gratification. Strength training has helped me to appreciate more what my body is capable of rather than just striving to look a certain way. Very good article on how to change one’s mentality. I want to be more like my dogs – carefree, and happy for the simple things in life. Have fun with whatever it is that we do and not complain about how this or that needs to be better or different. Dogs are simple creatures and I need to simplify. It sounds selfish, but my primal attitude has always been a focus on putting my health and my body before the needs and wants of others. For me, this challenge is about continuing to put my own health and vitality at the forefront of my life. 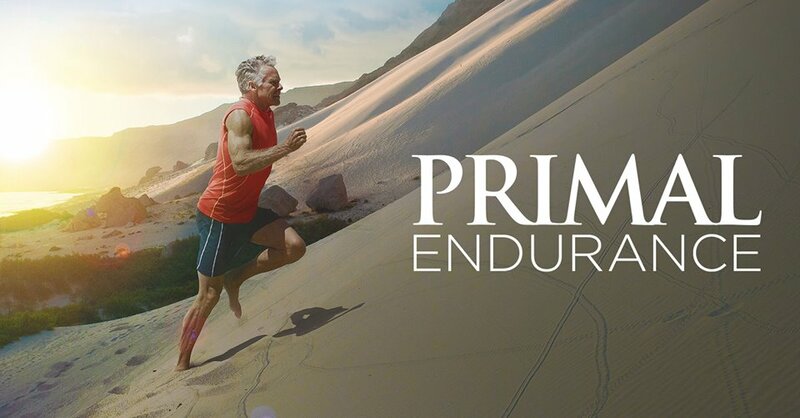 I’ve been trying to be primal since July though I have many challenges: being 74, chronically ill for 25 years, having acquired in 2008 an auto-immune disease that has damaged my leg muscles, severely overweight, and 99 year old mother dying just in August. That said, I’ve seen many benefits so far and look forward to the next 21 day challenge, when I hope to have improved enough to actually assess my physical condition. (Right now I just have to look at the challenges and know I can’t do even one rep of any of them.) I feel as if this lifestyle may give me back more than I ever thought I could achieve since I first became ill after the first 50 fun and activity-packed years of my life. A good refresher (I’ve been primal since 2011) never hurts. Just like every work day for the past year when I discovered MDA – I am reading this post, standing/stretching at my work desk in my vibram 5 fingers. The coworker stares and comments have subdued and I am ready to fire them back up. This Mogo will be a great addition to my primal lifestyle and give me the opportunity to promote MDA and healthy living! For me, it is so important to be happy here and now – today. It is important to have great goals to strive towards but just as important to live life in the present. Thanks Mark for all the fantastic resources! I love this, and this is where I often disagree with my fellow health-nuts. To me, getting healthy means listening to my body’s signals, and taking care of myself so that my body and my mind are given the best possible conditions to function. The point of “getting healthy” is self-indulgence, not self-punishment. Healthiness feels good. It’s supposed to feel good. There is a persistent meme in the US that “health” is unpleasant. “Eating healthy” means giving up tasty food and forcing yourself to eat “healthy food” (which, by that definition, cannot possibly be tasty). “Healthy exercise” means getting up at an ungodly hour and pushing yourself to the point of pain at the gym. Injuries are just a sign that you’re “working hard enough”. When your body rebels (hunger, light-headedness, injuries, pain) – you are supposed to ignore these signals and push through it. That’s how you “get healthy”. What this mentality teaches you is to ignore your body’s signals. This is dangerous. That’s how people damage their health – I don’t mean their weight, but their actual health. If you Crossfit yourself to the point of rhabdomyolysis, you may look good naked, but you sure aren’t healthy. If you subscribe to the low-fat dietary dogma, you may lose weight, but you may also lose health, as your body screams out for nutrients you’re not giving it. I say the hell with it. Healthiness should feel good. That’s the point. A healthy body functions better and feels better because it is functioning better. Every single one of my healthiness changes made me feel better immediately. The most dramatic effects were from Lifting Heavy Things (I felt so much happier and more energetic) and from limiting blue light exposure at night (my lifelong insomnia was cured). But every other change has also had a positive effect. When I make any “healthiness” change, I watch carefully for how it makes me feel, and if it doesn’t feel good, I don’t do it. This is not hedonism. This is the equivalent of watching the gauges on your car as a way of figuring out what’s going on with it. When people ask me how much “willpower” it takes to live the lifestyle I live, my first reaction is “Sure, I’m sooooo longing for the days when I couldn’t sleep well at night, got mild depression once a month, and had acne all over my face”. And btw, the reason I am doing this Challenge (though for me it’ll be a lot longer than 21 days) is because I’m hoping to get pregnant this year. I want to give my future baby the best possible prenatal environment to grow in. Love the 21DC articles – helps me set goals for the new year ahead! Reduce sugar intake from 4lbs/month to 2 lbs. Great post: inspiring, life and self affirming. Thank you. 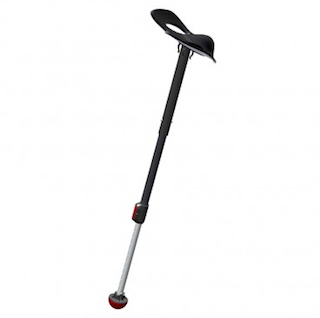 I would like one of these to combat the tired feelings I sometimes get standing all day. Today I embrace the brisk cold air I breath as I walk out in the sun basked playground listening to childrens laughter at work. I am grateful for the mind, body and spirit I am today, that brings me to each beautiful moment of each hour today. It’s been raining for days here, record breaking stuff, with 40-mile winds. Everyone’s complaining about it but what do I do? Full rain gear and go for a nice long walk. Though I guess to be fully primal I would leave the rain gear behind? My aim is live in the here and now, and live well. My brother-in-law died 2 days ago of pancreatic cancer, less than 4 months after he started feeling ill. He was only 63. This moment is all we really have, so I want each successive moment to be rich and glorious. What I timely post. I’m doing the 21 day challenge to fine tune my approach to the primal lifestyle. A no excuses 21 days to see where it takes me. I have eaten primal for a year where I had all the influence over what I ate at the office. Breakfasts were hard cooked eggs and fruit. Lunch was a B.A.S or a primal soup that I made myself. The problem is at home with a primal resistant spouse that insists on making rice or pasta with every meal. Sometimes that is the only meal or cake or cookies or mac and cheese with chunks of the most processed sausage-like product that has a coupon deal. It really hit home with the daily vimify exercise challenge, ride a bike. I have 4 mountain bikes in the garage that I got the family for Christmas 2 years ago. It’s “too hilly” where we live so my spouse went out and bought my kids electric motorized razor scooters which are also collecting dust in the garage. This challenge encouraged me set the example and dust off the bike and go explore the horse trail to the beach. Why should I let my SAD family deter me from enjoying the fresh air and outdoor activities at my disposal. I would never have thought of dusting off the bike if it were not for this challenge. I’ll be back in about an hour to post my GPS calculated distance and vertical. OK, the bike ride was only about 4 miles but it involved almost 700 feet of vertical and it took about 40 minutes. The highlight was I got to see a pair of roadrunners. Oh yea! I forgot to mention that one legged stool device would be great for musicians that practice or gig with heavy instruments. My goal, if I can call it that, is to become more childlike, to follow my intuition and stop worrying about what I should be doing or feeling. So true to not look at yourself in disgust or to strive to be 100% primal all the time. Great advice. I’m enjoying the 21 DC. Working hard at accepting myself as I am now while working towards a more healthy life. I’ve been in the 60-70% primal lifestyle… this challenge was about moving the needle closer to 100%. The big focus this challenge is cutting the cheat food out of my “Primal Kitchen” 🙂 While you always tell yourself just one won’t hurt… it always leads to more. So I just am learning to say no to those treats this time… and guess what… It’s not all that bad! It’s really kind of weird but I realized today I feel good I mean really good, you know alert, creative peppy. It’s not just getting past the carb flu that was done week one I was having lunch today (totally primal) and I was thinking to myself I feel like me really like me! for the first time in a long time and I like it. Very well stated. Very cool mogo. Embracing general, everyday exercise/fitness as an end in itself, rather than just a means to becoming a better climber/snowboarder/whatever. It does feel good. I’ve been thinking a lot about how this is *my* choice, that eating and living this way affects *my* life (in a positive way!) and it’s something that I can do while enjoying my relationships with friends and family, even if they do not ascribe to a similar lifestyle. So this 21DC, for me, is about taking ownership of this lifestyle and having the confidence in it to do what is best for myself regardless of what others are doing; but also allowing others to do what they want without judgment, without comment, and without pushing my knowledge and beliefs on them when it’s unwanted. As I stand here at my desk I’m thinking that I could use that “chair” so here’s my comment……. I try to live each day as well as possible given the circumstances. Some days are better than others, each day can have joy, even if it’s the thought “I did NOT get hit by a truck today”. Today I can embrace being the best possible me. If I continue to think, live, and feel this way I believe the world around you can literally transform and starting a paradigm shift to thinking the same way. If we all start to think and live and believe in self-development, it will ultimately lead to a world-development that we can all embrace and cherish together. I’m embracing the grace to forgive myself for wavering at times, trusting that I’ll make course corrections as necessary. Because, life isn’t about achieving perfection. Being new to the primal lifestyle, the 21-day challenge was a way to help me focus, and the Vimify app is great. Loved the comment in your prep post about not thinking in terms of being deprived of foods you’re used to eating but instead thinking of primal food as nourishing your body in a much more positive way. (Or something like that ;-). That has helped me during the challenge a lot! I agree diet and exercise is about being able to live and do what you want to do and be healthy, rather than just having a looking body (or what you perceive to be a good looking body)! I’m enjoying the challenge. I am starting to cut back on Internet consumption because of it, and I feel pretty good about that. Having to wake up before the sun 4-5 times/week has really been a challenge for me mentally and physically. I am faced with either lacking in social health by going to sleep early every night to keep a circadian rhythm. This helps me fall to sleep instead of rolling around in bed for an hour. Or I can lack mental health (and many other aspects) by saying up according to my young biological clock with everyone else in college. I am trying out a biphasic sleep pattern to see if it works. There is still the problem of seeing faces before bedtime though, which has shown to wake people up. What a great essay! It is wonderful to look at change as what you want to keep and move towards rather than what do you want to get rid of. I am willing to embrace movement everyday, whether that is hauling firewood, going for a long walk, or doing some bodyweight exercises to help promote a vigorous, healthy life. 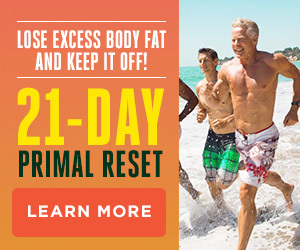 Been primal for 3 years, the 21-or-30-or-90 day reset is really helpful to just dial everything back in. Last year I did 72 days on SCD, this year I’m playing it chill with pure primal for as long as I can. I live in a winter climate, it was 39° when I got home from work. The last time I took my HD out it was sloppy and got the bike dirty. I pulled “her” out of the garage and washed “her”. I couldn’t put it back in, she was begging to go for a ride. I got 40 min. more sunshine and froze my finger tips off. I didn’t get my bike until I was 53. I want to be vital and riding for many more years to come. The ride was exhilarating! Life’s and adventure and I want to embrace the moment. So I’m not going to ride all winter, but, it was a moment not missed. Thanks MDA. Enjoying the challenges and have also challenged my self by dropping a cardio day from my weeks workouts and replaced it with another day of body weight excersizes, also to reduce my exposure to TV and build a strip built canoe. I’m already doing the Whole 30 this month, so the Primal challenge fit seamlessly with it. However, I talked my mom into doing the Primal challenge with me, and she’s already seeing how easy a few small changes can be. Thanks for helping her to achieve better health! I embrace a so… so… much better body, health, well being and happier soul as a direct result of committing to the Primal Life! Still evolving on my Primal journey, but what a difference from before Mark’s Daily Apple and the Primal Blueprint!! !, Night and day! Embracing intention & efforts to slow life down and to spend more sunrise & sunset time outdoors. I’ve been primal for over two years and I had an epiphany during a walk where I was listening to one of your recent blog posts. You were absolutely right: I do not want to go back to the way I was in my 20s, even if I had a perfect body, full energy and life was so good. We cannot go back in time. My challenge is to focus on what lays ahead and define a new me. My goal is to become a little lighter, healthier and maybe feel a few years younger. Thanks Mark. I have been looking for the article Mark posted (Prob years ago) on explaining the Primal Lifestyle to others. It was almost like a role play. Does anyone know the title? Thanks! Thank you to all the commenters (and Mark) for so much inspiration! Great article! I started this challenge with a pretty simple goal, to exercise more with a focus on improving my strength. But it has been good to refocus my food choices, evaluate the place of technology in my life, and combine physical activity with play. This has been a very positive experience and I look forward to the second half of the journey. Focus much more on sleep, and now that Colbert’s off the air, I can go to sleep a half hour earlier. Watching tv and computer with my orange goggles allows me to sleep much better. I’m just reminding myself to do something everyday to get closer to my fitness goals. Anything is better than nothing. Perfect time for a challenge. For me at least – trying to make a few changes. Sometimes trying too hard is trying too hard. Trying to reset after holidays wine etc. Tried to start challenge super low carb and no dairy after being primal for a year. Was too hard. Overdosed on nuts (yucky ibs like symptoms) and then read that low carb not good for adrenal fatigue which I’ve had for nine months. Had a relapse in nov and dec I was anxious (hmm work on that too) to lose the memory of. Working hard now on accepting that I need some extra carbs, ie some fruit and yams and that I have still work to do on finding what works good for me. I’d still like to lose 20lbs. But all in all way better than before primal energy etc. Even with adrenal fatigue caused by mental stress. Oh and need to sleep a little bit more, taking it easy on exercise due to adrenal fatigue. Too much exercise was a contributing factor initially i think. You guys are all awesome! Yes, yes, yes. 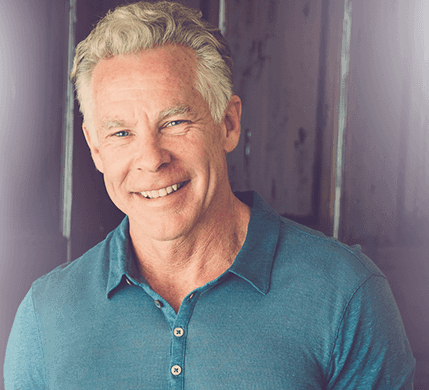 Following the Primal Blueprint way of life can help you with your high blood pressure, your diabetes, your energy, joint pain, flexibility and so on and so on. Which it has for me. But the thing that hits me the most, and usually on a daily basis, is how effortless it is for me to pick up something I dropped on the floor! I use to have to consider foot placement, holding on to something else or calling my wife over to help me. But now, I just reach down and pick up whatever I’ve dropped with no pain, no grunting and no worry that I’m going to fall over! Its a great feeling! I agree that it isn’t always best to come at things from a perspective of lacking though I think it is good to start there like a cold shower in the morning then immediately bouncing back with the goals and what obstacles can be removed from the goals. The timing for this blog post is incredible as I just got a standing workstation at a call center because my chiropractor recommended it for my back pains so now my next endeavor with this big company is to raise my desk from just standing to a comfortable standing as well as a chair for standing! Now I know what illnesses may befall me if i’m not proactive on this as well as i know where I can get something for at home. Biggest bonus was seeing how employees at PB headquarters did raised desks…I’m going to sneak in 20 bucks worth of moving boxes biweekly until my desk monitors and accessories are at a cozy level! Today I am going to focus on just how incredible my body is. All the little things that it can do that I take for granted everyday. I’m in the middle of a health scare at the moment, and its made me realise just how precious every day is, just how amazing our bodies are (even when they don’t work ‘right’). I want to be able to run and jump and climb, and see all the beauty the world has to offer, and all of that starts with seeing the beauty in my body. My goal is to discover just how great I can feel/be without a SAD covering up my potential. 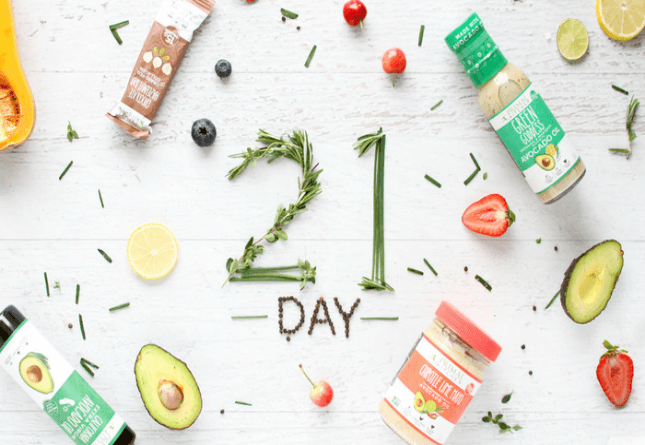 This 21 challenge has totally reset my eating (and more) to the primal way of living. I can’t think of a single cookie, pizza, or pumpkin spice latte will ever be ankle to steer me off this lifestyle. During this journey I’m focusing on how even-keeled I feel. My kids deserve the best mommy possible and my husband deserves a non-irritable spouse. 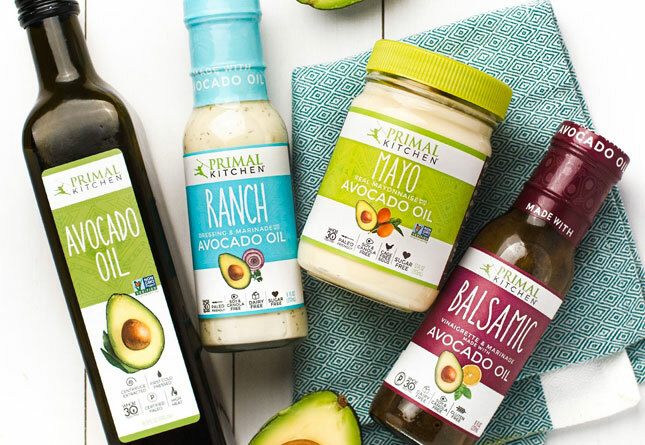 I’m happy to say the little things remain little when I’m eating Primal. Gone is the scary monster that makes a mountain out of a mole hill, when my brain is so focused on finding that next sugar hit! That level, calm feeling is worth much, much more than eating a slice of cake or cookies. Mental clarity is such a gift! I’m excited to start this year being full primal and with a new job! Life just reminded me that today is all there is. And the only thing worth focusing on. But today, I honored my healthy body. I didn’t eat until I was hungry. I fed myself healthy food when I was. I napped a bit (crying makes me soooo tired). Enjoyed some chocolate. Told my people I love them. No matter how many today’s we have, that’s all we need. And my today feels better, because taking care of me will allow me to take care of others when they need it. I dont know if I am any different from others…. My problem is that my motivation does not stand more than 3-4 days whatever be the challenge…. So, my first plan is to always look for new reasons for motivation…. Next is to take new challenges every 4-5 days…. As the years have gone by, I have experience with many different types of weight loss. As I move onto week three of the 21 day challenge, I feel, for the first time, a level of alertness, and improved health that I have not ever experienced. In a short two weeks, I believe I am onto a life change that will stick. That said, I still have to make deliberate choices on what I consume. I feel, see, and think it will all pay off. Thank you for the 21 day challenge. The support it has offered is the difference maker for me. What a wonderful post. This is just what I needed to read this morning to jump start my mind into knowing what I need to do to make the changes that are necessary in my life. Thank you so much for sharing insights that are so valuable. taking it a little slower than most knee surgery thanksgiving 2014 hip January 2015. Reading eating right, but very hard wife and son stay focused on foods to eat if I shop and cook. I know if is wrong I could not eat two days. Frozen pizza or hot dogs. opps found coffee and sugar down fall soon help? I continue to do well at certain things and not compliant on the same, few things. I am continually working on those non-compliant items and the list is dwindling. 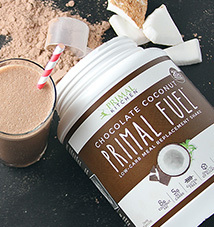 I believe I will be living the full Primal Lifestyle, sooner than later. great topic. I needs to spend some time learning more or figuring out more.